Once again there are those “spreading panic amongst the citizenry” offering testament to the apocalypse if America doesn’t stop burning fossil fuels. They prophesize that the only solution to save human civilization is to Go Green (vis-à-vis pass The Green New Deal)! Boiling it down, The Green New Deal imposes government mandates to eliminate the use of fossil fuels by 2030. In other words, completely replace a fossil fuel-based infrastructure (that took a century and a half to build) with renewables and do it in ten years. Ambitious to say the least… and expensive! Preliminary estimates to get to net zero carbon emissions puts the price tag anywhere between seven and eight trillion dollars (that’s trillion with a “t”). Heck, I guess when you’re already twenty-two trillion in debt, what’s another seven or eight? Well, I have a better idea on how to achieve the goals of the New Green Deal, how to get it done quickly, and best yet how not to have it cost the taxpayers one red cent. How could we ever achieve this you say? Have our legislators in Washington come together (I know, sounds impossible, but miracles do happen) and pass legislation that fast-tracks the permitting process for all proposed renewable energy projects. As those of us in the industry know, it’s generally not the cost to build a renewable energy project that dooms success. What really sends developers running for the exit doors is the unpredictable length of time, incredible cost associated with, and uncertainty of obtaining local, state, and federal permits. Take the recently proposed “Northern Pass” renewable hydroelectric energy project. After the New Hampshire based utility-Eversource-spent five years and nearly $280 million dollars to obtain the necessary approvals to upgrade existing transmission lines so that they could import 1,090-megawatts of clean renewable hydroelectric power into the New England electric grid, the New Hampshire Site Evaluation Committee voted unanimously to deny their final permit. 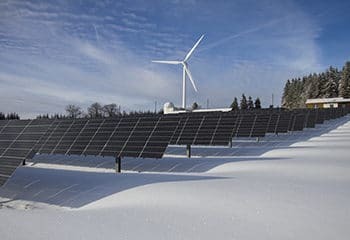 So, I ask the sponsors of The Green New Deal, if after the spectacular debacle of a private company spending 5 years and $280 million dollars only to get their proposed renewable energy project denied because of a state board stacked with “Not In My Backyard” (NIMBY) members, who the hell would be stupid enough to ever propose another sizeable renewable energy project without some certainty that it could actually be built? If you do find someone, please steer them my way as I’d like talk to them about a bridge I have for sale in Brooklyn! Truth be told, everyone wants renewable energy until a project is proposed in their town/city/state. Then, even the most rabid renewable energy pundits immediately print up road signs (that typically read, “Say No to Towers, Windmills, Dams, Solar Panels, etc. ), strategically post them on major thoroughfares, and then they incessantly call decision-makers pressuring them to use every tool in their political toolbox to “kill the project”! Take it from someone who’s out here supporting renewable energy projects. To all those Representatives and Senators who want a carbon neutral America, the quickest way to achieve the goal is to pass legislation that fast-tracks the permitting of renewable energy projects. If you do, you’ll get your Green economy… on-time and without spiraling the entire country ever deeper into bankruptcy.